One in five clinicians are uncomfortable treating gays and lesbians, often because of religious beliefs, according to a new international survey conducted by a Houston doctor. 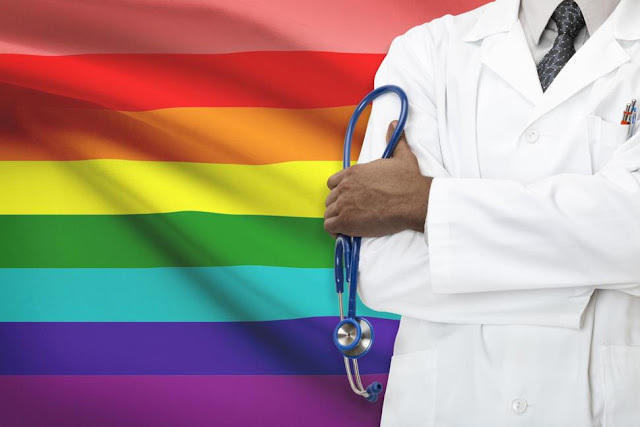 Nearly the same percentage said that they feel unprepared to care for homosexual patients and that they treat them differently than straight patients. Jehovah's Witnesses, Hindu and Catholic practitioners were the most likely to treat homosexual patients differently because of religious beliefs, according to the survey. Jews and Jehovah's Witnesses said they were the least prepared, but Buddhists, Hindus and Muslims weren't far behind. [Dr. Joseph] Varon presented the preliminary results of the anonymous survey at the fall annual meeting of the American College of Chest Physicians in Toronto. The 30-question survey was taken by more than 10,000 clinicians – mostly doctors and nurses, but also technicians and pharmacists – at 147 institutions in 40 countries. About 3,000 of the responses came from the United States. The rest have not been broken down by country yet. "A survey like this gets people's attention, but it raises questions more than it provides answers," said Dr. Mark Rosen, a Mount Sinai Medical Center pulmonologist and past president of the American College of Chest Surgeons. "I may be biased because I'm in New York, but I'd very surprised if those numbers reflected a lot of discomfort in the U.S., Canada and Europe. I think they're probably being driven by other parts of the world." I find talking with reTHUGlicans and religious freaks uncomfortable also. but I am not a health care worker; therefore, I CAN shun them. if you take a medical oath to treat ALL PEOPLE, then you MUST treat ALL PEOPLE! simple as that!